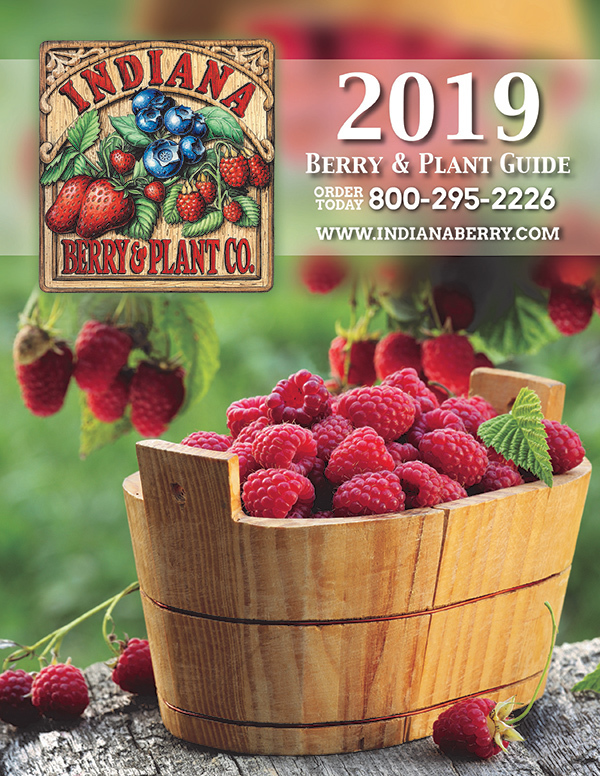 Thank you for requesting the Indiana Berry Book and Plant Guide. I think you will find it an excellent source of top quality plants and products as well as a resource guide to planting and pruning. 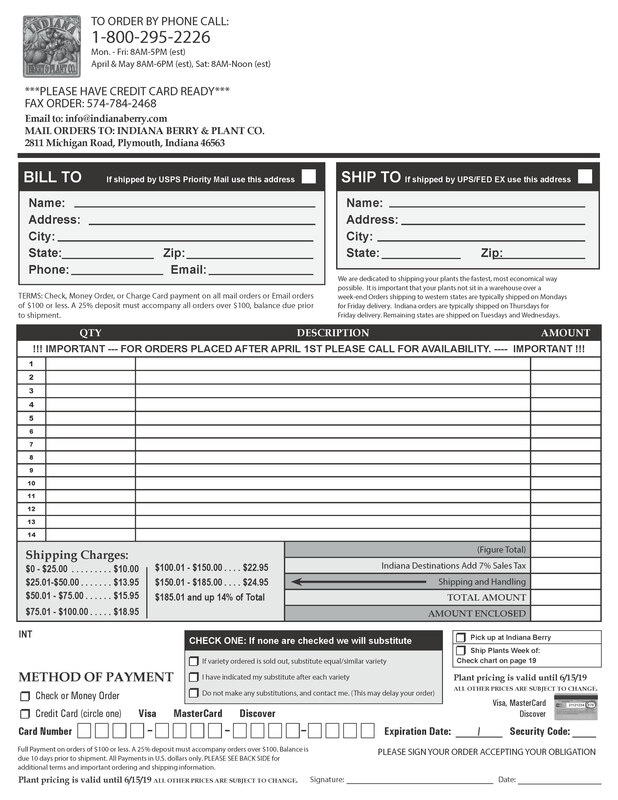 We are no longer shipping plants for the 2018 season and no longer sending out our 2018 catalog. We will add your contact information to receive the SPRING 2019 Catalog which will be mailed in LATE NOVEMBER 2018. Please note we do not ship plants outside of the United States and we will not mail catalogs to residents located outside the United States. We will begin shipping plants to our southern locations mid to late February, with other areas following according to USDA Hardiness Zone Map. Please complete the form below to request our catalog.